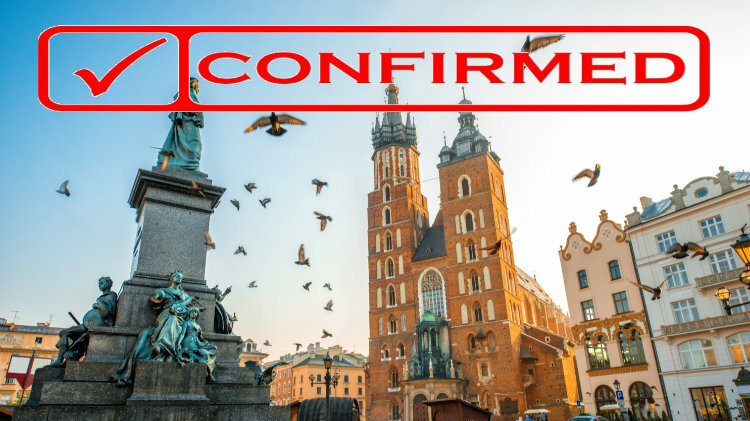 Explore the UNESCO world heritage city of Krakow, shop for blue-glazed Polish pottery, and experience the horror of Auschwitz on this trip, brought to you by Kaiserslautern Outdoor Recreation. After an in route stop-n-shop in Boleslowiec, famous for it’s many pottery factories, you will continue to your hotel in the city center, from where you will be free to explore this beautiful renaissance city with countless attractions like Wawel Castle and the nearby salt mines. You will also have the opportunity to visit Auschwitz Concentration Camp to learn of the horrors of the holocaust, and other excursions will also be available from your on site tour manager. Spaces on this trip are expected to sell out quickly. Reserve yours today with Kaiserslautern Outdoor Recreation. Up to 2 children under 12 in family room or adjoining double room with 2 paid adults: $299 p.c. Infants under 3 in existing bedding with adult: $229 p.c. This trip is confirmed and registration will continue as long as spaces remain available.